Noticed how expensive Napkins (Serviettes) are these days? Especially for special occasions .. and I can never find exactly what I want. To DIY your own Stencilled Napkins are so easy ! Pre-schoolers can do this if using a ready-made stencil and with a little help from you with the ironing part. 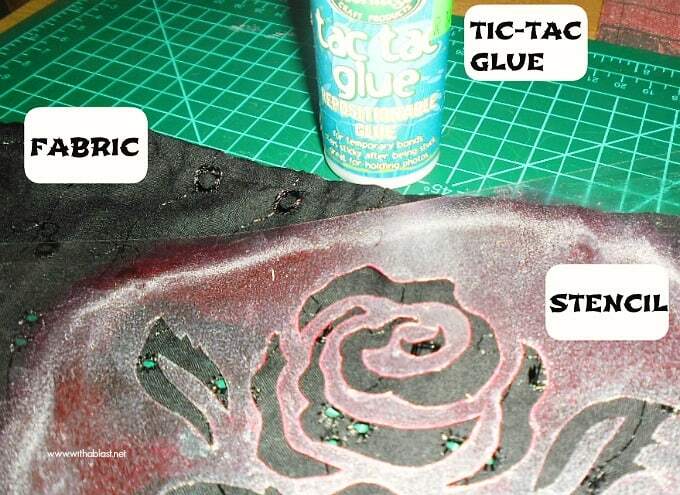 Buy a stencil (craft- hardware stores), DIY magazines like to share templates. Or look for a picture (magazines, internet, books specializing in templates or draw your own). Use a large alphabet/numeric stencil for words or numbers. The possibilities are endless ! I usually make my own Napkins, cut to my preferred size and use the type of fabric for the event. It is also very easy to jazz-up old plain napkins. Today I have only included a few which I have made over time. Note, the silver Rose on the black fabric and the red Rose on the white fabric were made from the same stencil. The gold Flower on the white fabric is only part of a bigger stencil which I chose to use here. 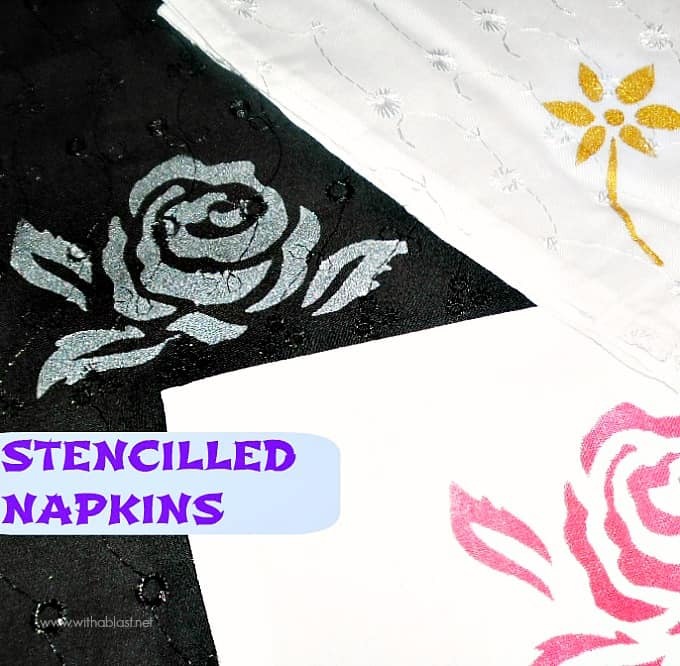 What do you need to make your own Stencilled Napkins ? Photo above – I used the picture on the left to cut out the stencil in the following photo. 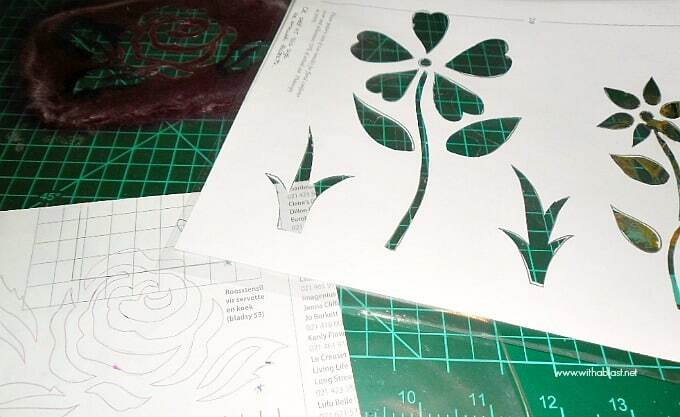 The template on the right was used to cut another stencil which I only used the far-right flower for the gold painted Flower. 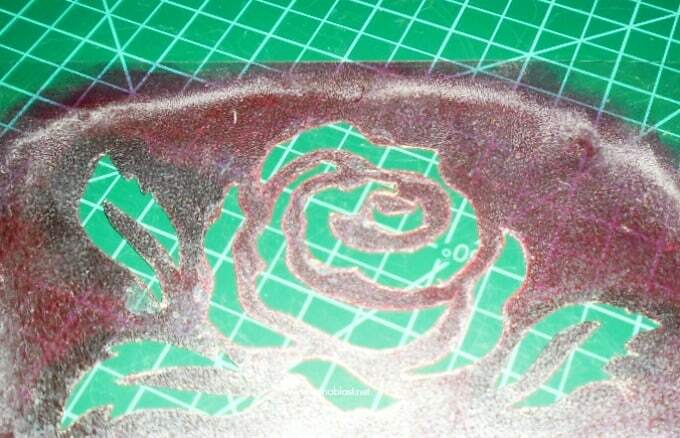 I took the photo of this stencil after a few uses to make it easier to see what it looks like. 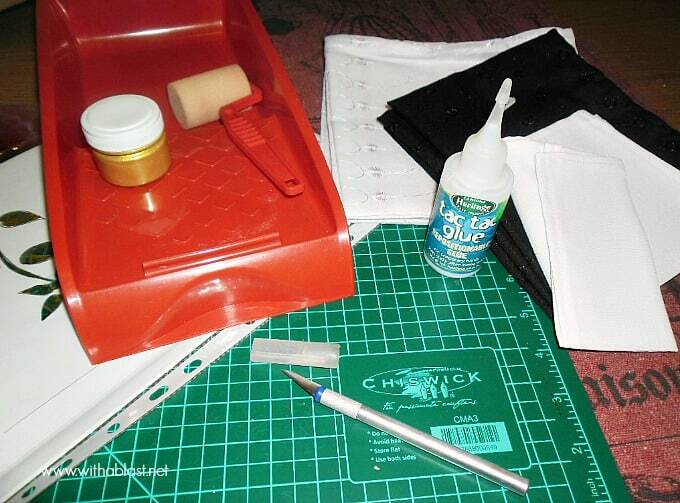 Last, but very important, iron your masterpiece (between 2 sheets of paper or old fabric) on both sides. This will make it permanent and now you can use and wash them normally. See HERE how I cut a stencil straight from wallpaper ! This is such a lovely, relaxing craft and I hope you will try it (if you are new to this) and enjoy it as much as I do! Cute idea! Thanks for sharing at the All Star Block Party! This is so cute and briliant!!! You should link this up to The CSI project starting today. The challenge is refashions/upcycles. This would be perfect and you just might be a winner! Great Idea. Now I have to think of something I want to stencil and get going. 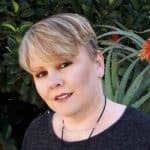 Thanks for sharing at our Finished Friday Blog Party. Love this idea. I have been trying to get used to cloth napkins. Anything to make them cuter! Thanks for the tip. I was just planning on making some napkins and this will help me dress them up. Thanks for sharing on Tout It Tuesday! Hope to see you tomorrow. What a great idea to make some extra special napkins. Great tutorial! Thank you for sharing at Freedom Fridays. Thanks so much for sharing at Heavenly Treats Sunday! Another great idea Linda. I think it would be so fun to make some for a special occassion. Thanks for sharing your talent with Share Your Cup. I love these! Of course I love to stencil too. Thanks for sharing at my party. Great job! I've not seen the Tic Tac glue before. Will have to see if I can find some.